Military forces from 31 countries began NATO's largest exercise in decades, stretching from the Baltic Sea to Iceland, on Thursday, practising military manoeuvres close to Russia, which itself held a huge military drill last month. 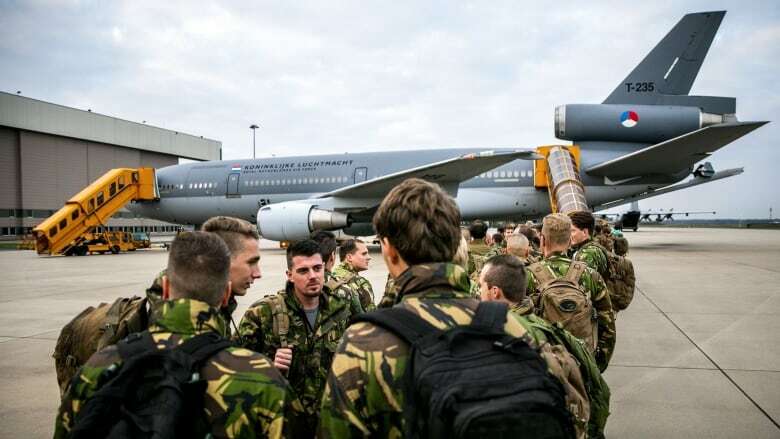 Military forces from 31 countries began NATO's largest exercise in decades, stretching from the Baltic Sea to Iceland, on Thursday, practising military manoeuvre​ close to Russia, which itself held a huge military drill last month. As temperatures fell below freezing across training grounds in central Norway, giving a taste of what it means to defend NATO's vast northern flank, some 50,000 troops, 250 aircraft and 10,000 tanks, trucks and other land-based vehicles were ready. "Forces are in position, they are integrating and starting combat enhancement training for major battlefield operations over the next two weeks," Col. Eystein Kvarving at Norway's Joint Headquarters told Reuters. Russia last month held its biggest manoeuvres​ since 1981, called Vostok-2018 (East-2018), mobilizing 300,000 troops in a show of force close to China's border which included joint drills with the Chinese and Mongolian armies. NATO's war games were originally meant to involve 35,000 troops, but the number grew in recent months and included the late addition of an aircraft carrier, the USS Harry S. Truman with some 6,000 personnel. NATO fears Russia's military build-up in the region could ultimately restrict naval forces' ability to navigate freely, and on Oct. 19 the Truman became the first American aircraft carrier to enter the Arctic Circle since before the fall of the Soviet Union in 1991. "The effect of this activity will increase the tension between Norway and Russia," Socialist member of parliament Torgeir Knag Fylkesnes said of the exercise, adding that the presence of an aircraft carrier caused particular concern. "You have to be quite hawkish to view this as something that brings peace in any way," he told Reuters.